This article was featured as in Wipro’s internal communication. Due permissions have been taken before posting this here on my blog. Growing up I had seen people going around with laptop bags and colorful ID cards. This was something that I wanted to do and here I am, 3 years into the corporate arena, I’m enjoying every bit of it. Out from college as a fresh engineering graduate, I was prepared to enter the so-called corporate life. Getting placed in the first company on campus is a big deal indeed and I was fortunate to have been given a chance to prove my mettle at Wipro. Being a Foodie, during my interview, the interviewer joked and suggested me to join the Bengaluru campus because of the variety of food on offer there. But destiny had something else planned. 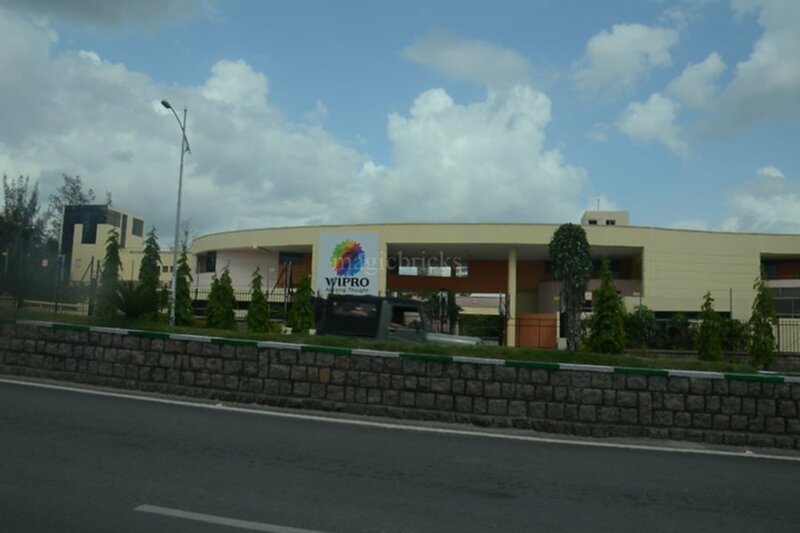 Spending close to 4 years in Delhi, it was time for me to explore the City of Nizams as I landed up at Wipro, Hyderabad for my very first job. So here I am, sharing my journey at Wipro. Things have been going great since then. From the initial training period where we learnt about the Wipro culture, new technologies and enjoying the fun pinnacle sessions, I enjoyed every bit of it. Meeting strangers and making new friends is my USP, so it wasn’t long before I made some great friends. The three-month training culminated with me topping my batch of close to 50 other bright minds. So that was the first achievement in my journey at Wipro. Without spending much time on the bench, I found myself in a project in cloud domain. The ODC I was in, was filled with folks with red and green tags (highly experienced folks). That was when I felt like a rabbit surrounded by lions. But thanks to the amazing managers and members around who made me comfortable within no time. And it was soon, I found myself enjoying team outings after a hard day at work. They say, change is the only constant, and it wasn’t long before I joined a new project. I was part of a young and small team and was good to see people of my age around. The initial phase was challenging but not for long. Soon I was working on an array of things and gaining vital knowledge. The leads and managers have been amazing all this while. I don’t know about others, but I feel very comfortable in walking up to my Delivery Manager and talking to him about anything and everything under the sun. Here I was constantly recognised for my contribution. 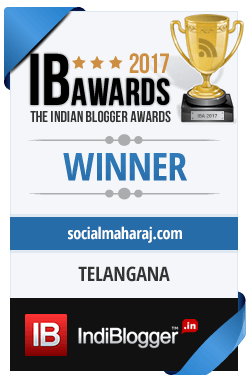 From good appraisals to Prodigy awards (that’s what they call the Best New comer award here), I had seen it all. Not only this, I was awarded by the client and the Vice President Eravi for my efforts. Not to forget, I have also made some great friends and being a wanderer, I’ve also taken numerous trips. Recently, I also got a chance to meet Eravi in one of the casual sessions he took with the youth of Wipro. And during one of the AHMs (All Hand Meet), it was a Deja Vu moment when I met him. He randomly walked up to me and told “Hey Atulmaharaj, you’re up on the stage next!” (Atulmaharaj is my online avatar. He was aware of my blogging activities and hence he addressed me as Atulmaharaj) Addressing an august audience consisting of experienced managers to newbies isn’t easy, surely not for the faint hearted. This was a challenge as well as an opportunity for me. Among the thousands of new joiners in the company, if the VP knows you by name it IS A big deal. The stage was set for me to seize the moment, grabbing the mic, I found myself in familiar territory. Spoke about my journey in Wipro, about my blogging journey and tips for new joiners. It was one of the best achievements of my Wipro journey, something that I’ll never forget. I don’t have any specific success mantra, but the only thing I would like to point out is to be sincere and responsible. If you are sincere in your work and show that you can take up some responsibility, you will get the chance. There are people around who are looking for leaders and who knows you might be next! Also one advice that I would like to everyone would be to speak up. Remember that this is not a school or college, Wipro is a family and each person has a say. It is every individual’s duty to take the organisation to greater heights. So I would love to see everyone – especially the youth brigade -to speak up whenever they get an opportunity. After all every opinion matters. And that is what is going to lead us to Abid’s vision of 15 x 20. One last thing that I would like to mention is, work by giving your 100% in anything that you do. But also remember to spend some time with your family. Work-Life balance is vital. Your designation will increase with time and so will your bank balance, but always be around with your loved ones. Because in the end, it’s for that smile on your kids/parents/spouse’s face you are working for ! How was this ? Liked it ? Disliked it ? Mention your views in the comments below or Tweet to me @Atulmaharaj. It good to see that you have very well gone through in your corporate world. It’s a big achievement that now you are experienced enough to give tips for success to the new comers in your company. Wipro is a great company and heard much about it. You are doing Great and keep doing like this. That’s a lovely journey Atul :). And it’s great to see that your VP recognizes your blogging activities. Quite awesome I must say :D. May you continue to have such success as the years go by :). Thats quite a journey Atul! I firmly believe one has to have the zeal to succeed and not treat the job as a 9 to 5 thing- to get done with. Give your best shot, be vocal, network, hard sell – these are key to succeed in the corporate world. Thanks Akshata for dropping. You’ve rightly pointed out the keys to success in the corporate world.